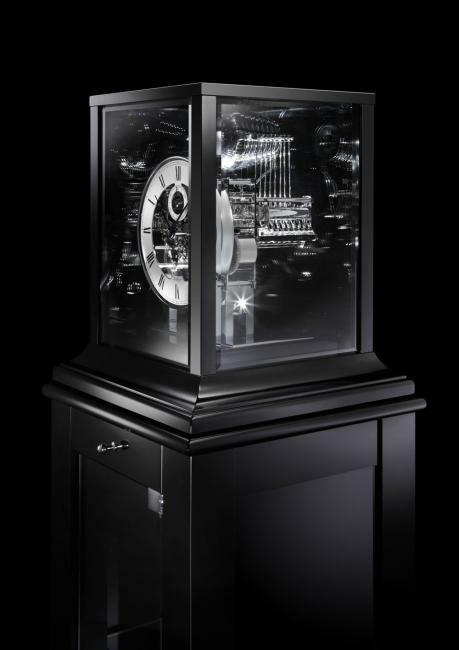 Unique showcase clock in fine black lacquer finish with a drawer and 2 display shelves which due to its de-sign allows placement anywhere in a room. Inside the drawer and the 4 upright pillars is a hidden pressure lift mechanism which allows the cube hood to be automatically raised above the movement. The 5 beveled crystal glasses of the cube in conjunction with an open silver plated time ring allow great visibility to the entire bell chime movement. 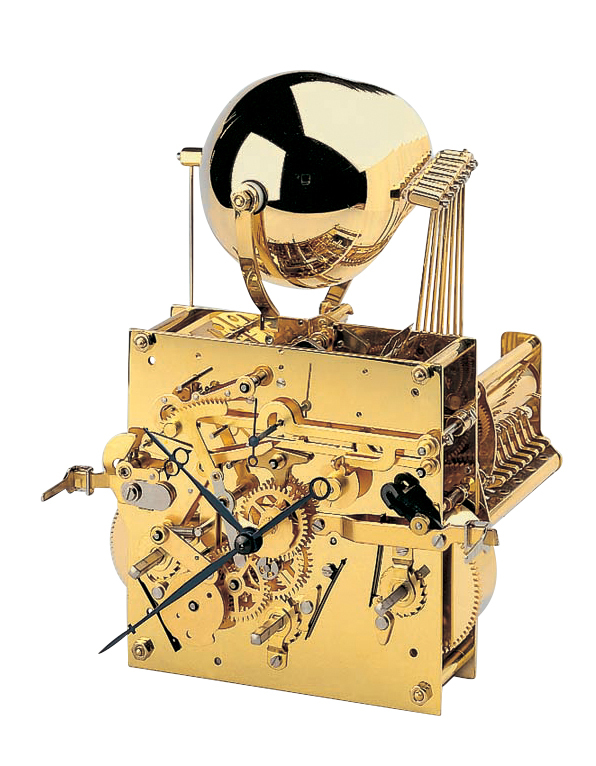 A small compartment in the clock base stores the winding key. 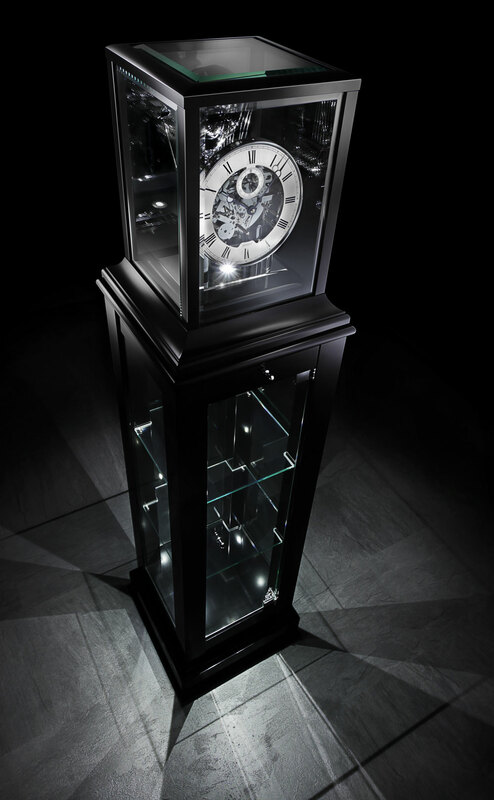 Second indication and fine hand-milled Breguet-style hands com-plete this special clock creation. 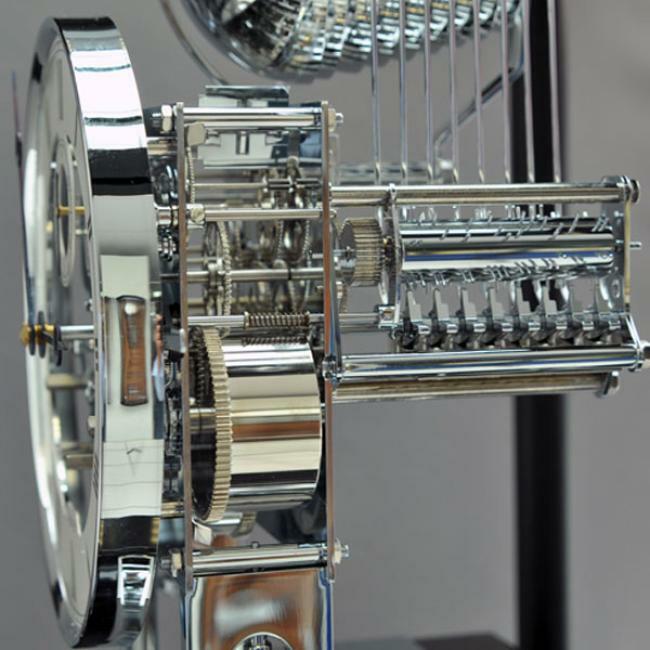 Movement and accessories are chrome plated. Edition limited to 500 pieces worldwide.